We had dinner at Banana Leaf at The Podium last November. Our simple fare consisted of Roti Canai, Tilapia Fillet with Malayan Cream Sauce and Barbecue Roasted Whole Baby Back Ribs. We (hubby, me and son) all loved this! 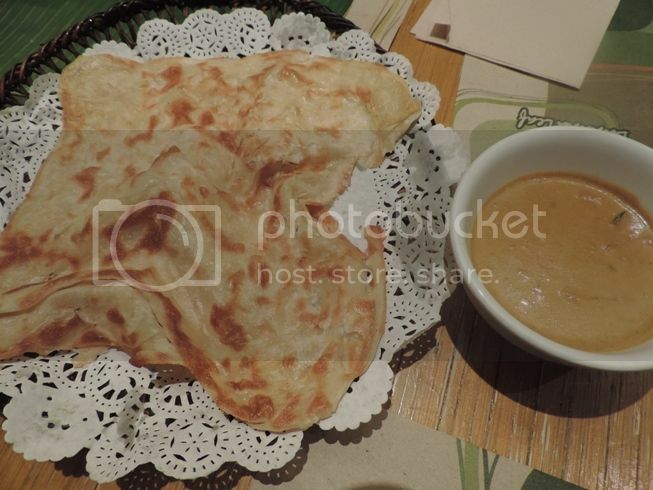 Roti Canai is a flatbread that is crispy and flaky on the outside but fluffy on the inside. It was served hot, and it came with a curry dip. It tasted great, and it’s quite filling! Actually, this was the only thing that our son would like to eat for dinner. 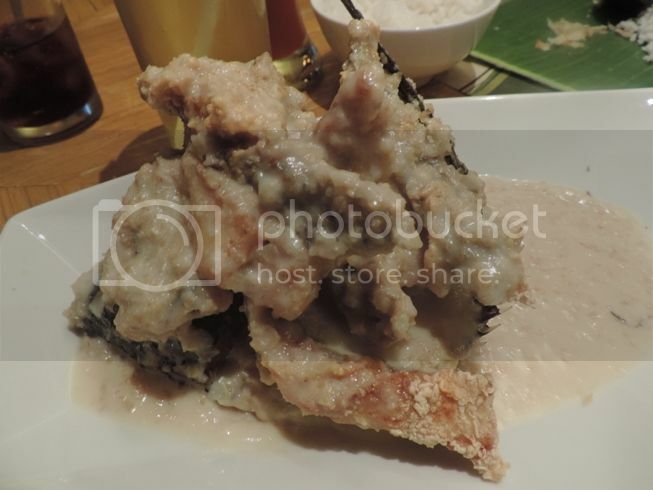 This Tilapia Fillet with Malayan Cream Sauce had a hint of sweetness. 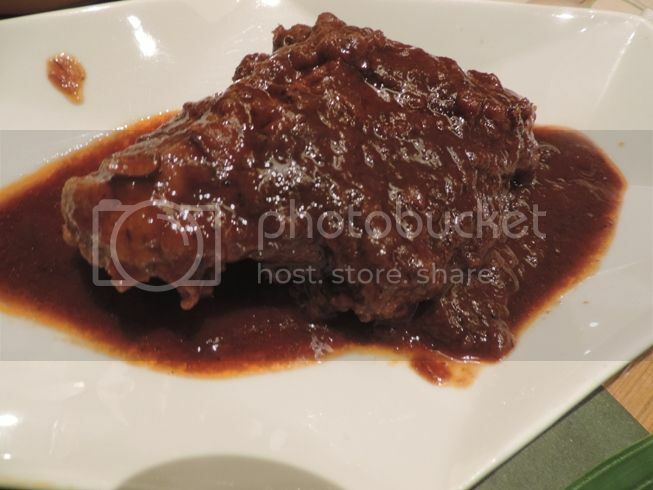 The combination of oatmeal and milk was responsible for the sauce’s texture, color and flavor. Because hubby loves pork, it’s not surprising that he’d order this Barbecue Roasted Whole Baby Back Ribs. The taste was okay, but contrary to what we expected, the meat wasn’t so tender. It is obvious from my descriptions that of the three items we ordered, it was the Roti Canai that we enjoyed the most. It was delightfully crispy, and the thick and flavorful curry dip nicely complemented it. This entry was posted in Banana Leaf, Thai Cuisine, The Podium. Bookmark the permalink. Roti Canai is intriguing. But the portions are quite nakakabitin. I always pass by this restaurant in SM The Block. Just like Justin, I think I’ll enjoy the Roti Canai more. I want my baby back ribs to be fall-of-the-bone tender too. I also order their roti when we dine there, as well as their fried cod fish, beef rendang and chicken satay. that costs only about 25php in tawitawi. I was able to try Banana Leaf but it was a few years ago and I can’t remember what it was like eating there anymore. Haven’t tried Banana Leaf but have seen them around. Meron pala silang roti canai! A fave! Not sure if they still have a branch over at SM North; parang wala na ata.